When Will Evans couldn’t find a face wash on the market that helped him wake up in the morning he decided to create his own. 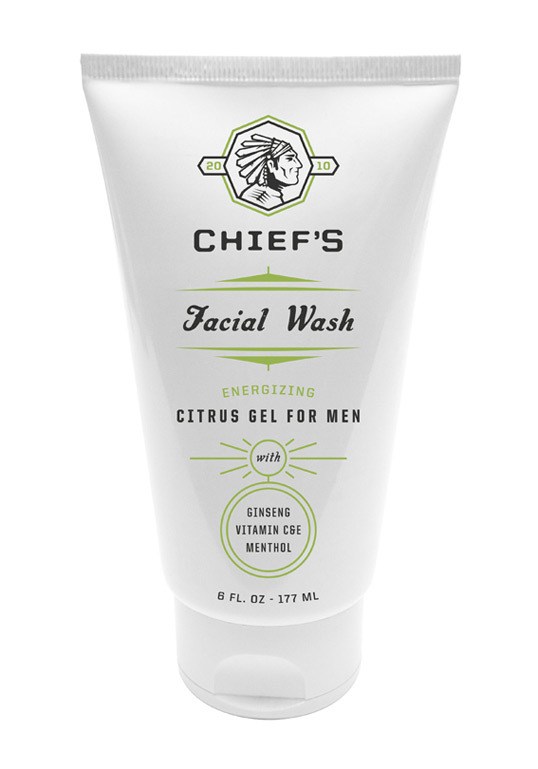 The result is Chiefs Energizing Face Wash, a citrus gel for men. That looks excellant, nice mix of typography, a good hierarchy and looks really clean…which is what you want from a face wash, good stuff! I absolutely love this packaging. simple, clean, masculine, but not stuffy. Good design but I can imagine people being sensitive to Native American imagery being used to sell products, especially products that no have no inherent association with Native American culture. @V R: I think people need to stop being so sensitive and just accept that we are all different and have different cultures – and that this is a good thing we need to celebrate, instead of ignore. 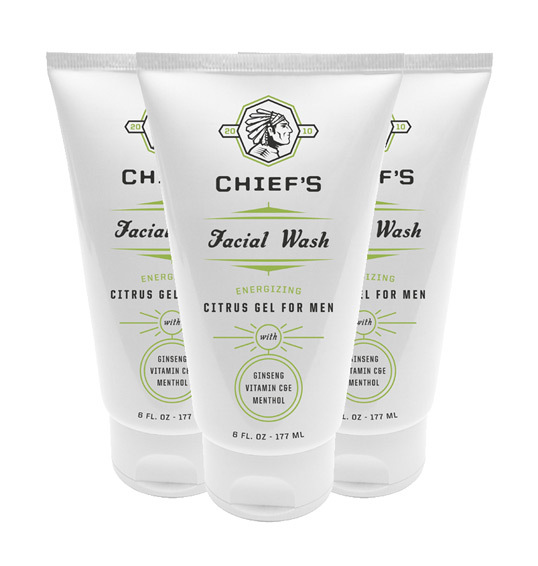 To that point, I think that using a Native American leader’s likeness for a company named “Chief” is just fine. Tim did a great job with this – the Chief symbol is impeccably sharp. Does anyone know what the script type is for the “Facial Wash”? The Native American imagery is a little offensive.